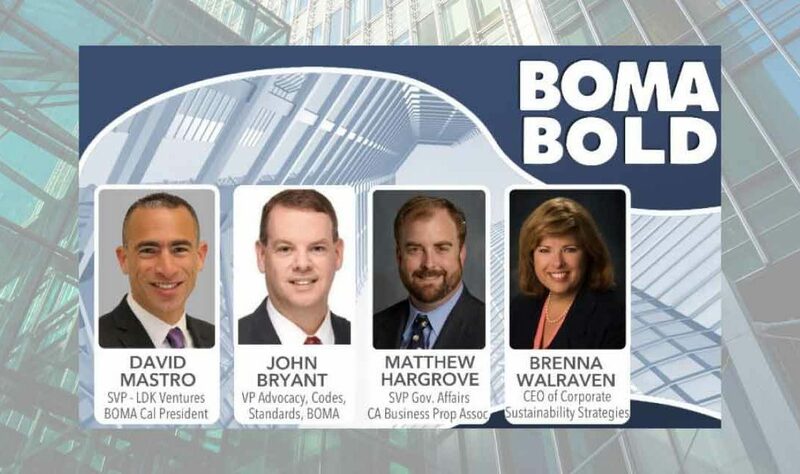 Corporate Sustainability Strategies is pleased to announce Brenna Walraven selected to participate as an industry leader for BOMA’s Water and Waste Challenge (W2): Elevating Sustainability to the Next Level discussion at the 2019 Building Owners and Managers Association (BOMA) Annual Conference and Expo. Prepare for an event that will take your career to the next level. Meet the most important people in commercial real estate on June 22–25, 2019. See the latest innovative products and services designed to make your building run more efficiently and get your tenancy to max capacity. You’ll learn from the best by day, with plenty of opportunities for evening networking. In just three days, you’ll gain the momentum you need to optimize your building operations and elevate your career. For more information visit www.bomaconvention.org. BOMA is a primary source of information on building management and operations, development, leasing, building operating costs, energy consumption patterns, local and national building codes, legislation, occupancy statistics, technological developments and other industry trends. For more information about BOMA visit www.boma.org. This year’s Summit was held in conjunction with the Energy Exchange and brought together leaders from the federal, commercial, education, state, and local government sectors to share best practices in energy and water efficiency, integrated resilience, and emerging technologies. 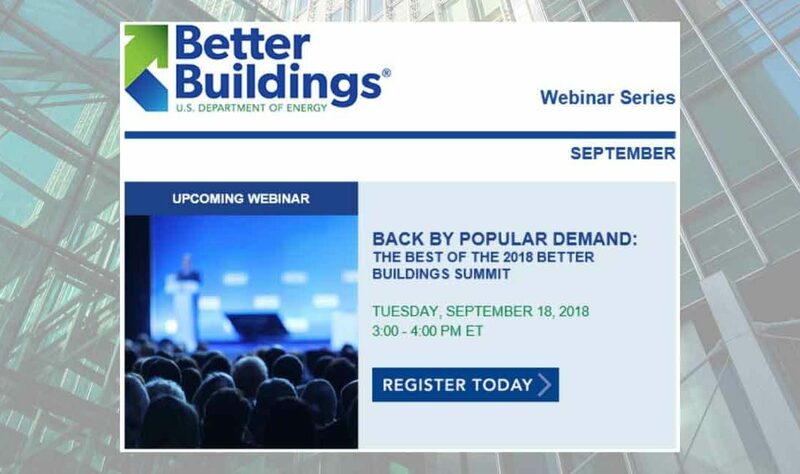 Learn more about DOE’s Better Buildings Summit here. Are You Associating Effectively in Commercial Real Estate? Getting back to the heart of Building Owners and Managers Association (BOMA) – discover what it means to be emboldened by your peers, your passions and your strides towards better performance in the commercial real estate industry. BOMA is a federation of U.S. associations and international affiliates. BOMA represents owners and managers of all commercial property types including nearly 10.5 billion square feet of U.S. office space that supports 1.7 million jobs and contributes $234.9 billion to the U.S. GDP. Its mission is to advance a vibrant commercial real estate industry through advocacy, influence and knowledge. BOMA is a primary source of information on building management and operations, development, leasing, building operating costs, energy consumption patterns, local and national building codes, legislation, occupancy statistics, technological developments and other industry trends. Learn more about BOMA International. While environmental and financial benefits of energy-efficient buildings are undisputed, property professionals need a foolproof plan to execute a lease that achieves and maintains sustainable building operations. 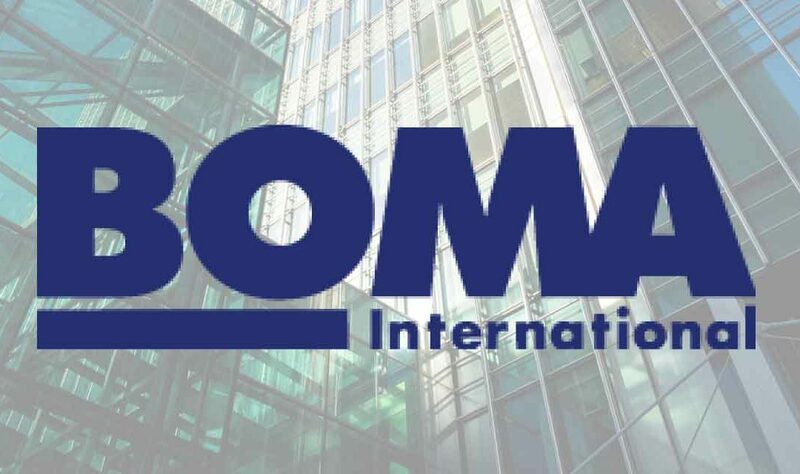 For more than 30 years, BOMA International has provided the industry with a model lease agreement that is considered the standard for commercial leases. Recently, it released the latest version of its model lease Green Lease Guide: A Guide for Landlords and Tenants to Collaborate on Energy Efficiency and Sustainable Practices. Learn the latest in high-performance leasing and building a win-win for building owners and tenants. Hear how some of the industry’s Green Lease Leaders are successfully breaking down the barriers to achieve high-performance buildings. Discover how Boulder Commons and Sharp Development are achieving net-zero energy (NZE) and making a sound business case for NZE in multi-tenant properties. Find out the latest industry guidance for greening a commercial lease. Discover how the industry’s Green Lease Leaders are successfully implementing high-performance or energy-aligned leases. Learn how to execute a net-zero energy lease and build the business case for achieving net-zero energy in multi-tenant office buildings. Join us from your desk or anywhere with internet access. BOMA’s Webinars qualify for continuing professional development credits for the renewal of these industry designations: RPA, FMA, CPM, ARM, SMA/SMT and CCM. Bonus: All webinar registrants receive a special promo code for a 20% discount when purchasing the BOMA Green Lease Guide before September 30. Corporate Sustainability Strategies is pleased to announce Brenna Walraven has been asked by The U.S. Department of Energy (DOE) to speak at the 2018 Better Buildings Summit. Walraven was selected because she has demonstrated leadership and forward thinking in energy efficiency, sustainability, and resiliency for the real estate industry. She will be speaking about Investor-Oriented Sustainability Insights for Commercial Real Estate. What are the current and new sustainability trends for commercial real estate institutional owners and real estate investment managers? Better Buildings Challenge and Alliance partners will share insights and engage with audience stakeholders on how to move the industry forward. engaging investors in energy matters. This year’s Summit will be held in conjunction with the Energy Exchange and will bring together leaders from the federal, commercial, education, state, and local government sectors to share best practices in energy and water efficiency, integrated resilience, and emerging technologies. 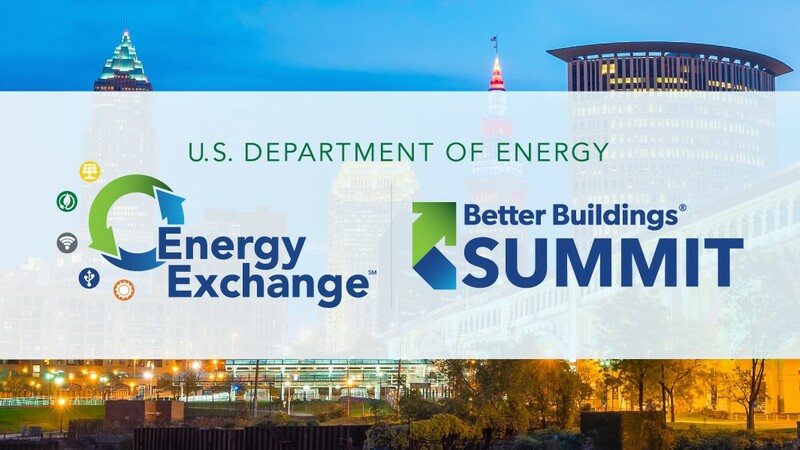 This year’s Energy Exchange and Better Buildings Summit will be held August 21-23, 2018 at the Huntington Convention Center in Cleveland, Ohio. Corporate Sustainability Strategies is pleased to announce Brenna Walraven will lead the discussion on “Driving Better Buildings Through Connectivity” at Building Owners and Managers Association International (BOMA) 2018 Annual Conference & Expo. Connected buildings can bring immediate benefits and help drive lasting results for building owners and managers. Learn more about this education session. Your commercial real estate career is always in motion. You need to know what’s now and what’s next to stay ahead in a changing industry. 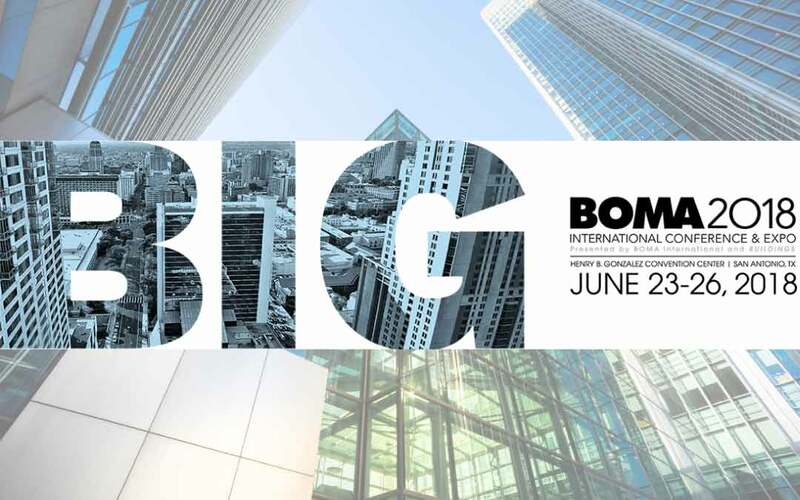 The BOMA International Annual Conference & Expo is your big moment to learn, connect, grow and shine. The 2018 event will be held in San Antonio, Texas, and boasts a full schedule of new educational content, the latest technology and innovative solutions, and prime networking time. If it has the power to impact your future. It’s here. Big opportunities await. High-performance buildings are attractive to tenants that are pursuing corporate sustainability goals. And high-performance systems have the potential to lower your utility bills, improve tenant retention and provide greater NOI. Discover new strategies and tactics for cutting expenses, increasing efficiency and reducing your energy footprint — the High Performance Buildings track at the 2018 BOMA International Annual Conference & Expo covers everything you need to know to “green” your building operations.